Let us take you back 100 years & 27 miles from Waikiki to our exclusive beachfront property on the shores of West Oahu. Since 1976, over 3 million visitors to our Islands have become a part of the Germaine’s Ohana. 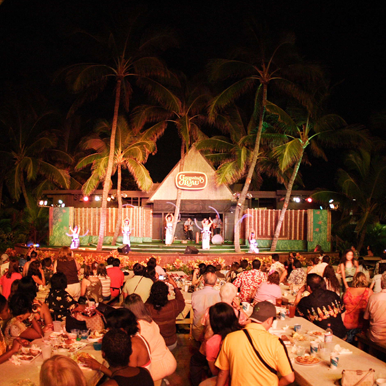 Germaine’s Luau® has been acclaimed as America’s Best Luau in “America’s Best 100” and has been filmed by ABC’s “Good Morning America”. 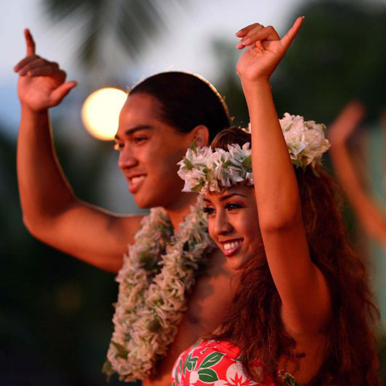 Come to where you will still experience a traditional luau that recaptures the “Spirit of Old Hawaii”. Our luau has evolved over the years but the true spirit of Aloha remains as the defining element of the Germaine's Luau® experience. 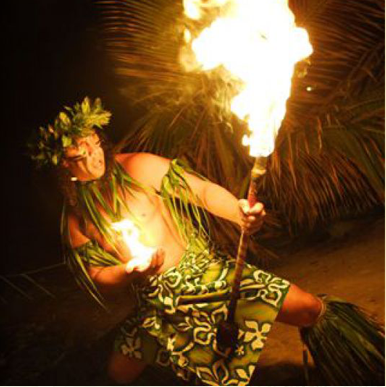 You will leave with fond memories of what a true luau is all about…a one of a kind experience not found anywhere else in the world. Upon arrival, all of our guests are traditionally welcomed with a Hawaiian Shell Lei. The sounding of the conch shell announces the beginning of the evening’s festivities! Picture taking opportunities await as the Royal Court of Polynesia makes its entrance. As the imu (underground oven) is uncovered, the savory aroma of the Kalua Pua’a (roasted pig) – your main course of the evening – reminds us that dinner is soon to be served. Our all-you-can-eat buffet features an array of tasty Hawaiian – American selections, which include traditional Island favorites sure to please even the less adventurous (See our menu). The evening also includes unlimited soft drinks, coffee & tea as well as 1-3 beverage coupons (depending on your package) for all adults 21 years & older. 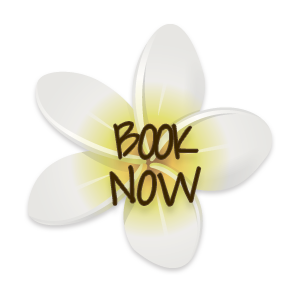 Round-trip transportation from designated Waikiki locations are also available.